Hundreds of locals, including a vicar, are to co-own their own pub in the latest example of a community-owned enterprise saving a facility threatened with closure. A community share issue has been launched in Brighton to help re-open the Bevendean, with the support of The Co-operative Group. Locals are aiming to raise the £200,000 needed to re-open the pub, which closed in 2010. Father John Wall, whose church is situated close to the pub, said he was looking forward to becoming a regular. Michael Fairclough, the Co-operative's head of community and co-operative investment, said: "We are witnessing communities across the country, driven by needs other than to maximise profit, turning to co-operatively-owned solutions for the running of businesses and services. 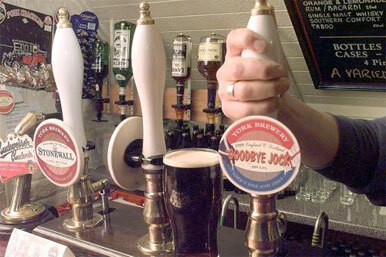 "A well-run pub is an important part of the social fabric of a community and, enterprises such as this, operated by a general public increasingly concerned for accountability, transparency, and sustainability, are showing how by working together, communities can tackle some of the unprecedented challenges currently facing our society, environment and economy." The number of co-operative enterprises has increased by almost 10% to nearly 6,000 since 2010.